Amdocs is the market leader in customer experience software solutions and services for the world's largest communications, entertainment and media service providers. For more than 30 years, Amdocs solutions, which include BSS, OSS, network control, optimization and network functions virtualization, coupled with professional and managed services, have accelerated business value for its customers by simplifying business complexity, reducing costs and delivering a world-class customer experience. The Amdocs portfolio enables service providers to capture the world of digital immediacy by operating across digital dimensions to engage customers with personalized, omni-channel experiences; creating a diversified business to capture new revenue streams; becoming data empowered to make business and operational decisions based on insight-based and predictive analytics; and achieving service agility to accelerate the fast rollout of new technologies and hybrid network services. Matt Roberts, Marketing Director of Big Data & Strategic at Amdocs, outlines the vendor's view on big data and the new services it offers. Chris Williams discusses the evolving role of the CMO at network operators. 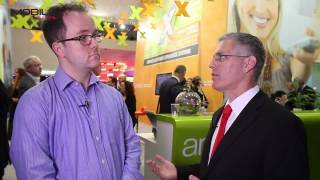 Mobile Europe speaks to Yossi Zohar, Head of Product and Partner Marketing, Customer Management Division, Amdocs.